When I was little, my mom, dad, and I lived at Wood Buffalo Park, a Canadian national game preserve in the Northwest Territories. The night before we were to take the carryall sled, pulled by our team of huskies 52 miles from my dad’s park ranger station/house to Fort Smith, my mom had a dream. In her dream, which she said was as real to her as if she were watching a movie, when we got to the Salt Flats about 25 miles from Fort Smith, by some fluke of nature the plains were bare of snow. My dad had a lot of faith in Mom’s dreams and dream interpretation, because she had been right before and she believed in them. Even though this dream involved cooperation with his fellow park rangers and the strong possibility of getting laughed at, Dad phoned and arranged for someone with a truck to meet us at the near side (of us) on the Salt Flats. He teased Mom all the way to there about her quirky dreams and how he was going to tell the fellows that it was all her fault. When we got to the Salt Flats, though, he stopped teasing. They were bone dry, without a flake of snow, and there, waiting for us, was the promised truck. The guys in the truck weren’t laughing either. 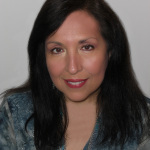 My mom’s dream interpretation and dreaming abilities filled me with admiration, which prompted me as an adult to take some courses in unfolding my own psychic nature. These psychic development courses focused on the fact that everyone is psychic and all you need to do is practice working with your abilities until they become second nature to you. Then you can use them as tools in your everyday life. I had been traveling for quite a while across Canada and the U.S., presenting some of the psychic development courses I had learned and, in the course of my travels, came to Ottawa to present just such another program. A friend of mine, also in the same organization, drove with me downtown for lunch before a TV interview of me about the upcoming lecture and series of courses. I had been in Ottawa before, and downtown was no place to be at lunchtime if you could help it. Parking was impossible, even paid parking, never mind on-the-street parking. This issue made me uncomfortable, since we couldn’t take too long for lunch because of the fixed time for the interview. To sidestep the problem, I concentrated briefly on the area where we were eating lunch and visualized a lovely parking spot just waiting there for us. I did it with a lot of feeling, so I was not surprised to find a spot a few doors down from the restaurant. What did astonish me was the fact that there was another parking spot right behind it. Unheard of! I quickly took the one spot, then turned to my friend. Amazement was scribbled all over her face. We sat in awed silence for a couple of seconds before it dawned on us what had happened. A long-time Ottawa resident, my friend was fully aware of the noon parking crunch in the downtown area. Therefore, she had done the same as me to avoid the issue. Generously, Spirit obliged each of us, even though we only needed one spot. That was sweet really; otherwise, we both might have thought that we had failed and it was the other one who had secured the spot. Lunch was a success, and so was the TV interview. Have you ever had a precognitive dream? Or, have you focused your attention on something and had it manifest spontaneously ? Share your story with us in the comments. Did you enjoy this post? Spread the joy, Tweet it to a friend or share it on G+ or Facebook. Thank you! P.S. 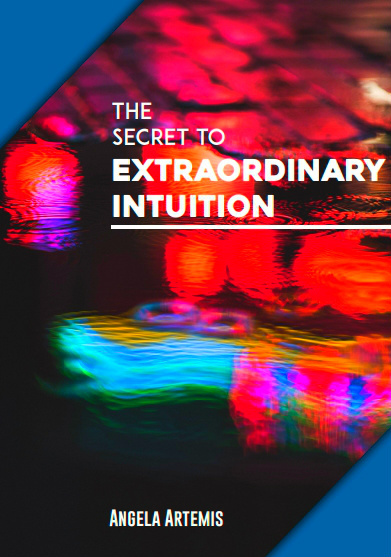 Want to be more intuitive? Click here and get started. Do you wince when someone says, “My mother is my best friend. We talk everyday and do everything together?” Wish things were different between the two of you? This Mother’s Day make peace with your mother. For the last several weeks I had asked my intuition for a dream with an answer to a decision I had been grappling with regarding the care taking of my mother. If the situation continues to be intolerable do I stay or do I go? I had a dream that my mother passed. I was filled with regret that I hadn’t made peace with her before it was too late. 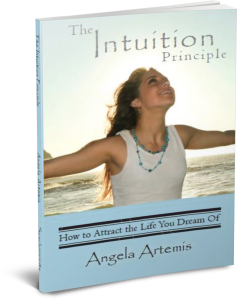 In this the dream I received a flash of intuition with the intuitive insight that she had spent her entire life reacting out of her own pain, and that it had been anything but her intention to be so hurtful. We had been locked in a dance of egos….if only one of us had the courage to rise above the ego things might have ended differently. When I awoke from my intuitive dream I understood that we are here to love one another at the soul level despite human flaws. Neither of us is perfect. It is time to end the perpetual sparring match. Time to change my thinking. Make peace with your mother. Do it now before it’s too late. Love is all that matters. Wounds, hurts and bruises dim the light of love for as long as you allow them to. Make the effort to wipe them away as often as necessary by forgiving and you will see that the light never stopped shining. Happy Mother’s Day to all mothers, daughters and sons included. Here’s to hoping you can make peace. If you enjoyed this post please share it with a friend on Twitter, Google+ or Facebook. P.S. 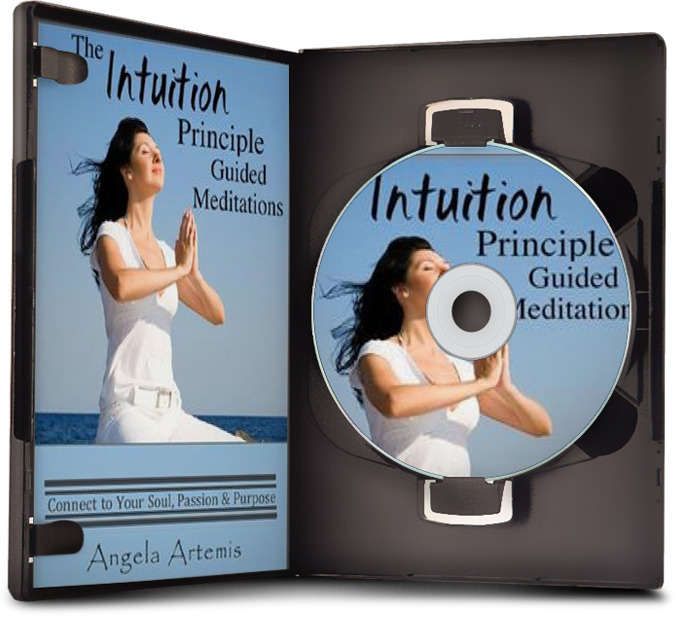 Learn to get intuitive guidance for your life – click here. 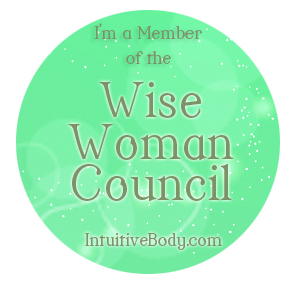 I’m honored to be part of Lisa Claudia Brigg’s Wise Woman Council. 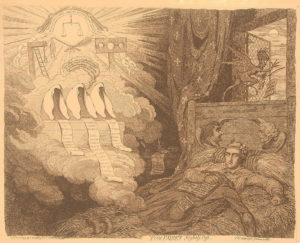 Dreams can be a valuable source of information. “Angela, would you come in here, please?” I heard my boss calling from her office. “Uh, sure, be right in,” I replied hesitantly. My boss wanted me in her office, but the problem was that her office was located in-between the walls, and there was no door! I must be dreaming, I thought. How am I supposed to get in there? On some level, I was aware that I was asleep and dreaming. I heard her call me again, so I had no choice but to “enter” her office. I focused my eyes straight ahead and walked steadily up to the wall, all the while wondering if I’d really be able to pass through it and – promptly smashed my face into it. Ow! That’s not working, I thought rubbing my sore nose. Then I realized, as I’d walked toward the wall I’d been skeptical about whether I could really walk through it. I took a few steps back and then began walking toward the wall again. This time I heard myself thinking, I want to do this. I can walk through that wall! The next thing I knew I was aware that my body had penetrated the wall. It was a strange spongy sensation something like walking through jello. I got my head through then pulled the rest of me through, and I was in. Her office was spacious and luxuriously furnished. Sun drenched the room through huge windows lining the walls – not what I was expecting to find in 4 inches of empty space between two sheets of dry wall. I was curious as to what dimension we were in? The astral plane, the etheric dimension? But, all she wanted to do was talk business. She acted very matter-of-fact about it too, as if offices located in-between walls were as common as finding staplers on desks. I woke up soon after this, and couldn’t get the dream out of my mind. An interesting post I read by friend and fellow blogger, Scott Dinsmore (ReadingForYourSuccess.com), came to mind. Scott’s article titled, “The Beginner’s Guide to Being Congruent,” is about how we easily achieve our goals when our emotions and beliefs are aligned with our intentions. I realized my dream wasn’t about the physicality of walking through the wall, but about dealing with inner conflict when we’re trying to accomplish something. To achieve our goals our desires, intentions, emotions and beliefs must all be aligned – or what Scott refers to as “congruent” in his terrific article. To illustrate this, think of something you’re trying to achieve and read the terms and their meanings below. Desire – wish, want, a longing, yearning, craving, need, aspiration. You have to really, really want this. Intention – meaning, purpose, aim, intent, goal, target, objective. It has to give your life meaning and captivate your soul. Emotions – feeling, sentiment, sensation, passion. You have to feel good about doing whatever it is you’re doing. Beliefs – attitude, viewpoint, idea, thinking, way of life, values. You have to truly believe it’s possible for you to achieve. Can you see how important it is for all four to work together instead of against one another? Think of a table with four legs – if one is missing the table top will rock unsteadily. It’s the same with us when we decide to accomplish something. Inner conflict will cause us to be unsteady and waiver – thwarting our efforts to achieve the goal. As all of this flashed through my mind – I realized that my dream had answered a question I’d been been repeatedly asking myself lately: Why wasn’t my house selling? It occurred to me that I’d been vacillating on my decision to sell my home. One minute my desire was to stay and then next to sell. Consequently, nothing seemed to be happening. My going back and forth on what I wanted was canceling out my intention to sell. I realized I’d have to become very clear and steady about what I want. Only then would there be any progress. The other key part of my dream was questioning my boss about what dimension her office existed in. I understood this to mean that when we decide to do something, with no underlying emotional conflicts or doubts about it, we’ve actually entered another dimension. In this dimension resides the Truth that all possibilities already do exist, and that we are the creators of our reality. Once our consciousness is harmonized, and we’ve internalize this truth – the goal cannot help but manifest in our lives. The more we understand this, and allow our consciousness to reside in this other dimension, the faster things will manifest in our lives too. In my dream, I wasn’t able to penetrate the wall until I truly desired and I believed I could, in other words, when my emotions and desires matched my intention and beliefs. It’s the same with anything else we undertake in our lives. No matter what you want to accomplish if your desires, emotions and intentions and beliefs aren’t in alignment – no amount of trying is going to make it happen. Just like my dream, you’ll smash into the wall until all these elements are harmonized within you – and then, and only then, will you find you that you can walk through walls! By the way, as soon as I had a good long talk with myself and re-aligned my desires with my intentions about selling my home – I got an offer! What walls have you been able to walk through once your emotions, desires, intentions and beliefs were in alignment? Get free updates! If you enjoyed this article please share it on Twitter, Facebook and Google+1. Thank you so much!